I am all about a good throw back. Specifically when it comes to Fall and if it also includes my family that is absolute perfection. Last year I threw up some pictures of more recent Falls, some of which included Halloween costumes of the old and young alike. This year I'm throwing it waaaay back to some of my favorite Halloweens. 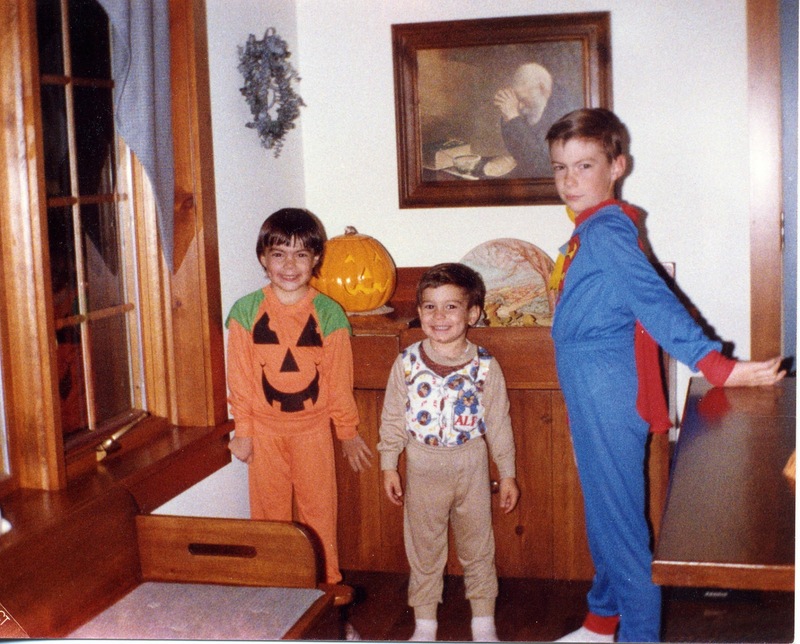 And who doesn't love looking at photos from the 80's and early 90's of kids on Halloween? This girl sure does. 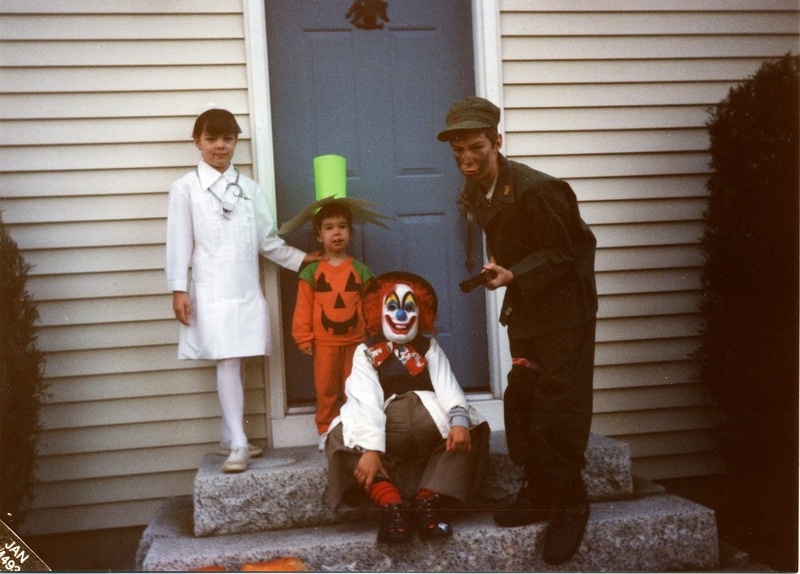 We were not a family to shy away from the Trick-or-Treat. We didn't bow out for religious reasons (see what I did there?). We may not have purchased a costume (ever) but we sure were creative. From raiding our grandmother's closet to old uniforms of our parent's we found something suitable to wear. And now that I'm a mother I just go out and buy a costume. I'm almost positive I said that to my parents as a child. How bout it mom? Something along the lines of: well when I have MY own children I'll be SURE to BUY them a costume and not MAKE them wear these STINKY old clothes. Or something like that. And so.. a sampling. And if you pay extra close attention you just may notice pieces of costumes or costumes in their entirety being reused. Nothing if not thrifty. Not pictured: the three year's running that I dressed as Laura Ingalls Wilder because I had long hair and a pair of lace up leather brown boots that befitted the time period I was trying to emulate, Bum Laurie, Hippie Laurie, Red Crayola Crayon Laurie, Mouse Laurie, and Dead Miss America Laurie (Miss Colorado to be exact). Although that last one was high school and therefore does not really count (although no monies were wasted in the name of that costume either). The creativity of Halloween is missing a bit do we think? There is no wracking of the brain trying to make a costume out of nothing.... no blood sweat and tears (and/or blindness). Perhaps I should stop purchasing costumes for my kids.... make them work for it eh? 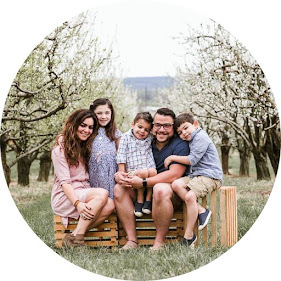 I am linking up with Helene and Tay and their #blogtober14 challenge. I am approximately 9 days late to the party and I know I won't follow along every day but hey. If a topic tickles my fancy I figure they won't mind another participant... right? Those are all cute costumes! ours were always put on a dress you're a princess. i am dying over this post. esp the third one where you almost went blind. thank god you didnt haha. oh this is good. oh my fav is so the nurse!! that was your moms?? cutest outfit ever! why don't nurses wear cute things anymore? or flight attendants?! but ohh we were the same way girl. my mom was thriftythrifty on the 'ween costumes. i actually WANT to be that way now, we just don't have much stockpiled yet to choose from haha. so, i figure if i just pull the costumes together in the early days maybe we can just rotate them later. OMG! How funny! I was planning on doing a similar post, but I don't have pics from that far back :( Be looking out for it though! there are no rules! you can do it whenever you please:) i loooove these old photos. so awesome! Oh my. 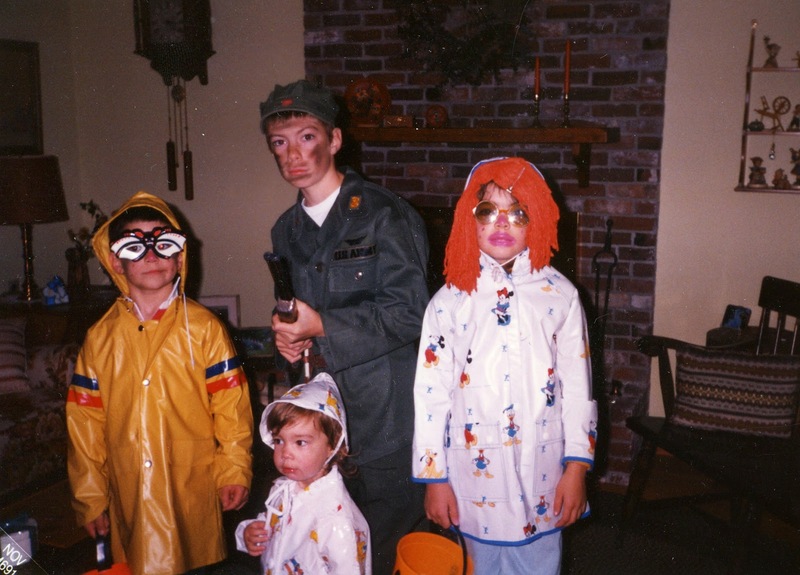 Your childhood costumes were AWESOME and quite hilarious. That clown costume at the end is serious stuff!!! Loved this! 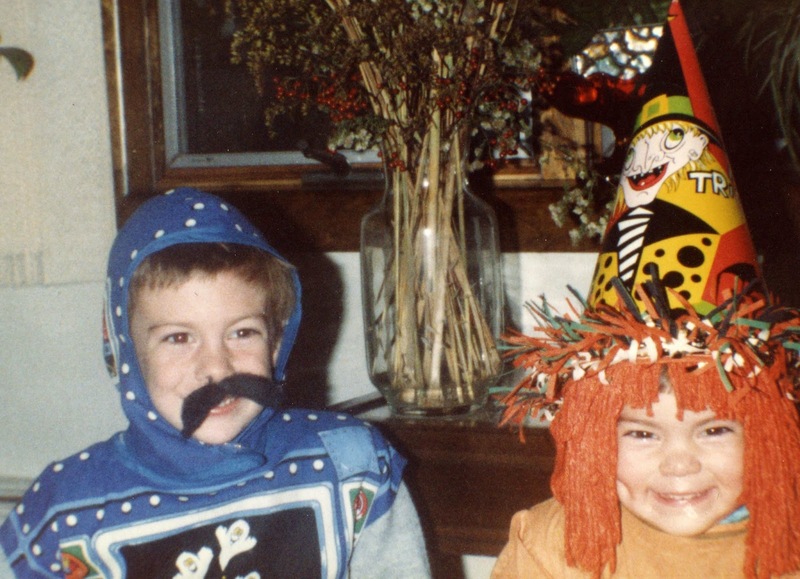 OMG... those childhood costumes - just great. I love throwbacks myself and enjoyed reading your post very much. Oh my word this is hilarious!! You guys were too cute. Third picture I am laughing out loud. bahaha, that is semi lame semi fun! I don't recall buying a costume or making one. So I guess my grandma made me one...I am totally in the let's just buy it group though. Nice lipstick too.